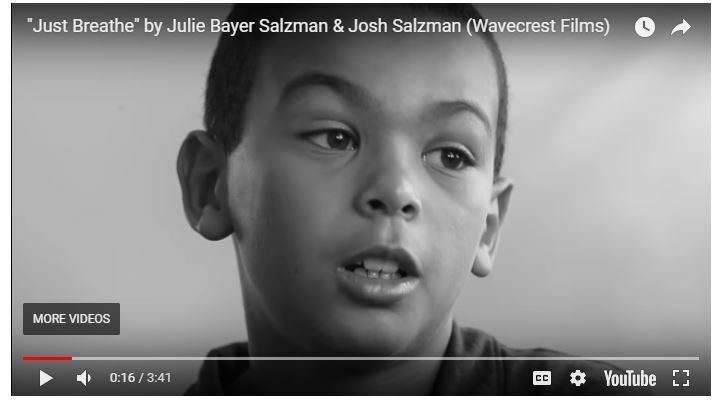 In this 4 minute video clip from filmmakers Julie Bayer Salzman and Josh Salzman titled “Just Breathe”, they speak to children about how their emotions affect them and how they physically feel. The short film promotes the practice of mindfulness to help deal with difficult emotions. This resource could be used by a healthcare professional or parent to share with a child who is struggling with anxiety or any emotional difficulties.